Do you have your sombrero, maracas, and chili peppers ready? Good, because it's almost Cinco de Mayo! 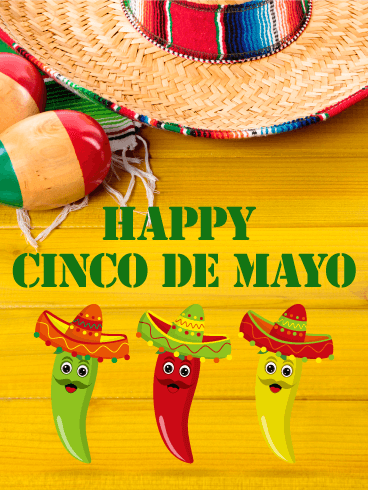 In America, the fifth day of May is set aside to remember and celebrate the influences Mexican culture has had on our world. 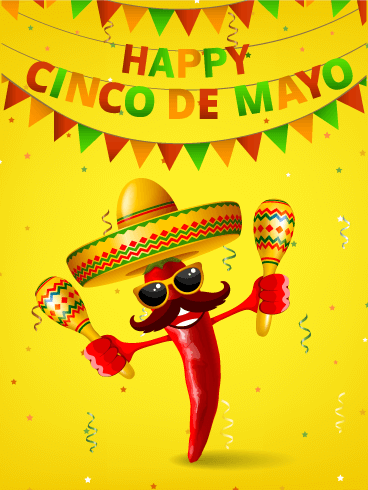 By sending the festive peppers on this colorful Cinco de Mayo card, you can begin your celebrations with your friends and family! 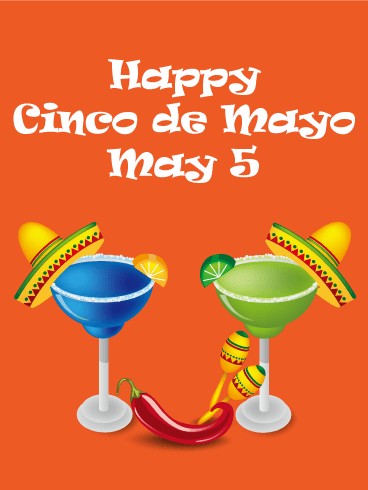 It's Cinco de Mayo, so it's time to break out the tacos, sombreros, and bottles of cuervo! They are a great way to celebrate this fun holiday. 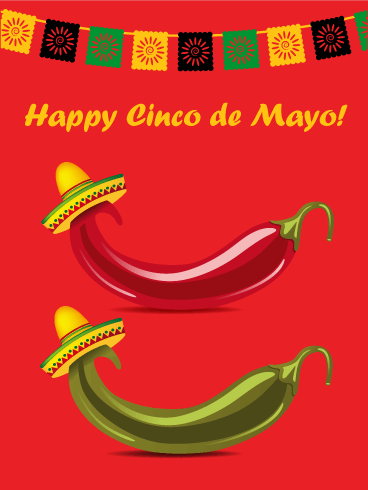 With the peppers on this colorful Cinco de Mayo card, you can help your friends and family get in the spirit of the holiday! Andale, andale, send this card before it's too late! Everywhere you look, you can see the influences of Mexican culture throughout our own culture. Every year on May 5th, we celebrate these great influences and the way they have changed our own world. With this bright Cinco de Mayo card, you can start your celebrations off right and make this the best Cinco de Mayo ever! Send this card today!